It boggles my mind…the literal and intentional disregard for truth. What hurts me the deepest is that I am betting millions of others feel exactly the same way. “Florine Gruen Goldfarb loves America. She is a real, down-home patriot. So much so that she unwittingly promoted Russian-coordinated events on Facebook in support of Donald Trump. 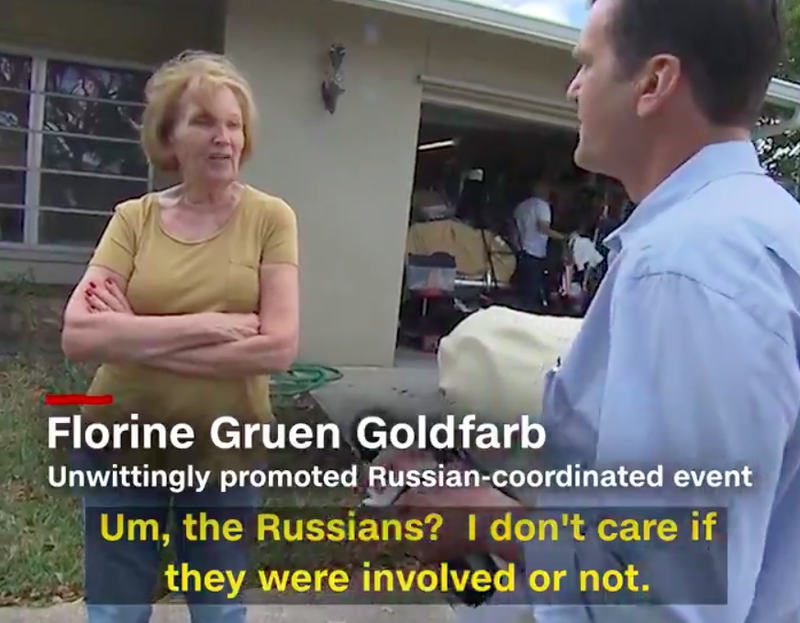 Goldfarb, who runs the Team Trump Broward County Facebook page, was one of the 53 percent of white women who backed Trump in 2016 and likely didn’t need Russia’s help to do it. But CNN reports that she did, in fact, promote pro-Trump events that were encouraged by Russian trolls on Facebook.